Sign standards and codes depend on the type of appearance that a community is trying to project. Signage is a big part of the look of some retail communities and some areas are trying to keep with the motif of the community. 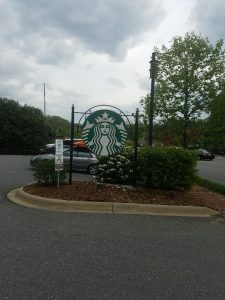 An example of sign codes that often create problems is right here in Dunwoody Georgia. In the Dunwoody village overlay district, they do not allow for internally lighted signs. This creates a little bit of a design and fabrication issue since out larger customers have brand standards they are trying to maintain. 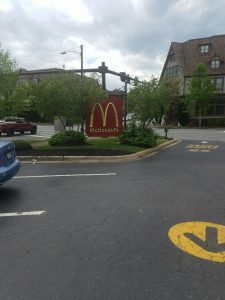 National brands in the Biltmore Village overlay district in Asheville, NC have to work around brand standards to accommodate sign ordinances that don’t go along with typical branding. You will notice that none of the signs are lighted. 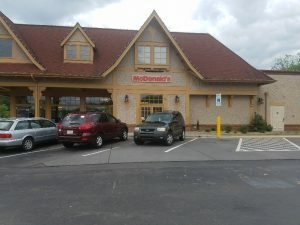 And the signs on the actual building don’t display the name in the brand standard that national chains such as McDonalds use at most locations. Because of the standards, they are forced to do what is necessary to comply with codes. A sign variance is required when a proposed sign does not conform to the requirements of the specific location pertaining to the size of the sign or its location. In some cases a variance can be obtained when a specific reason can be approved by the zoning and ordinance committees who oversee an area. This does not always go in favor of the applicant and often requires thinking outside the box to comply. Often an area ordinance will be similar to the one found in the Biltmore Village district where lighting is no allowed. In this case, a sign needs to be created that provides reflectivity at night without the use of neon or LED. It is possible to use reflective vinyl in the creation of the sign to attract potential customer’s afterhours and use internal signage to help create brand familiarity. Very often a location will have a sign height ordinance that restricts a businesses ability to have signage that is located off the ground. In many area’s businesses are required to use monument style signs that identify their business at eye level height while driving to convey a similar look up and down a road. This can be great for the look of the community and continuity between the signs but makes it more difficult on the business to attract motorist from farther away. If lights are allowed, you can enhance the look of your sign through cabinet lighting or lighted channel letters. Some areas require a specific material such as rock and brick monuments to display signage. A great sign company can help you comply with material requirements and visually enhance your brand while using contrasting sign letters to help your business stand out from the required facing. Sometimes using something as simple as a sandwich board to draw in traffic when you have stringent signing ordinances can add an extra element to your marketing efforts. Using window graphics and removable posters is another way to promote your business while complying with tougher outdoor sign requirements. Many ordinances may require combinations of restrictions such as height and lighting or material specifications. A professional sign company can help you adhere to brand specifications to the best of your ability while keeping you in compliance with the local building and zoning councils. 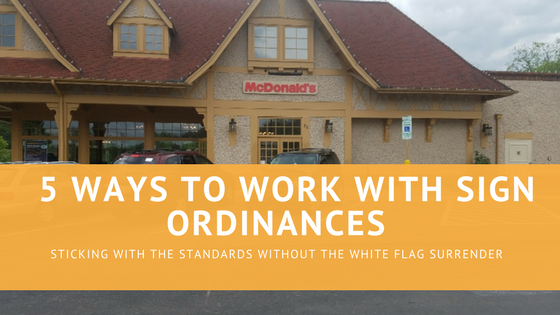 Working around the sign ordinance laws can be a lot less complicated than simply obtaining a variance to keep your brand consistent.